I remember there used to be many brands of scanner but nowadays it seems the choice comes down to two, Epson and Canon. Epson scanners get mentioned more often than Canon. This is probably due to the fact that Epson has a great reputation at producing photo scanners. Since I don't have all the scanners, I've asked a few friends Erwin, Don and Whee Teck to contribute their scans for comparison. Some scanners are good at one thing and not the other. This scanner review is written for artists and I hope it will be useful. Speed is important for those who needs to scan frequently, e.g. sketchers, those who work in the office with other co-workers. Software and usability would be the scanning software included and whether you can make adjustments to how visual attributes. For example, you may want to scanner to pick up lighter values and play down stronger ones. Some software have the ability to remove dusts, stitch multiple scans or even repair blemishes. Colour depth is important because you want to be able to scan the widest colour range possible. This is the Canon LiDE 220. I've three of these. Actually, I've two of LiDE 210 and one LiDE 220. I use this at home to scan artworks. I had previously owned the LiDE210 which sort of malfunctioned when scan produced a strange yellow gradient. Still, I went back to Canon despite my misfortune because of the detail it can capture. This is a lightweight compact flatbed scanner with a lid that can be adjusted to scan thick books. It has a high scanning resolution of 4800 x 4800 dpi and can pick up even the grain texture of the paper. Colour depth when scanning is up 48-bit for colour and grayscale 16-bit. One feature I like is it can be powered by just a USB cable. Scanning speed is very fast. There are lots of settings you can adjust via the preferences but I always just scan at default and adjust the scan using Photoshop. Colour accuracy is very good. There's one major downside relating to the LED scanning technology it uses. The scanner will not scan properly if the paper is not in contact with the glass. For example, say you're scanning watercolour on some cheap paper that has warped, parts that are not in contact with the glass will appear blur. This means the scanner is not as suitable for scanning sketchbooks, especially those spiral ones, because the book's spine will cause paper around to curve upwards. 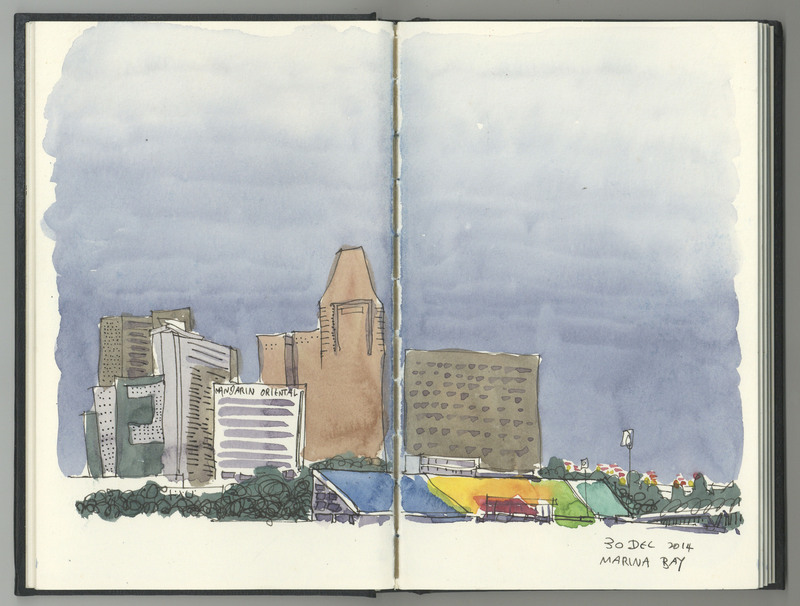 If you draw across the gutter of the sketchbook, the area near the gutter will be blur. Overall, this is a good budget scanner. I bought two of LiDE 210 (one spoilt and one's still in use in the office) and recently the LiDE 220 which is the newer model of 210. Below are unedited 300dpi scan samples from the LiDE 220. LiDE220. Click for a larger image. LiDE220. Close up on the top right corner. There's a very faint edge on the paper visible to the eye, but very difficult to detect. It's very challenging for the scanner to pick up. LiDE220. Close up of a Saunders coldpress watercolour paper. The Epson V37 is also a budget scanner. It scans A4 size up to 4800 x 9600 dpi. One nice feature it has is the ArcSoft Scan-n-Stitch Deluxe which can stitch multiple scans to form a larger scan automatically. This scanner uses LED for scanning. Colour depth when scanning is up 48-bit for colour and grayscale 16-bit. Many users on Amazon have commented favorably on the excellent quality of the scan when compared to the more expensive Epson V600 (capable of 6400 x 9600 dpi resolution). One downside is the lid has no allowance for scanning thick items like books. The Epson V37 is exactly the same as the V370 except the latter has a thicker lid with built-in 35mm transparency unit for scanning mounted slides, negatives and film strips (not really useful for artists unless you still shoot film). While I don't have any friends with the V37, I do have a friend who has a V330 which is from the same series so I got him to scan a blank piece of Saunders coldpress paper as well, as seen below. The V330 is a model from 2010 and is also able to pick up the texture quite well. Here's with the V330 with and without Auto Exposure. Click for a larger view. The Epson V600 is a high end scanner and it's really not too expensive. The lid is quite thick because it has the built-in transparency unit for scanning slides, negatives and medium-format panoramic film. This unit can scan up to 6400 x 9600 dpi which is really high resolution considering artists would usually scan their artworks at 300-600dpi (because printers usually require just 300dpi for prints). The extra resolution allows for more flexibility when editing. One nice feature it has is the ability to fix tears and creases, dust and scratches from photographs. For artists, it's probably good enough to get the Epson V37 and save some money (up to $100) because most of the extra features are meant for photographers. Below are two scan samples from the V600. V600. One sketchbook was placed behind the other. The scanner was able to pick up the artwork even when the paper's not touching the glass. V600. This is the scan of the same Saunders coldpress watercolour paper used in the Canon LiDE 220 scan. It was unable to pick up the paper. 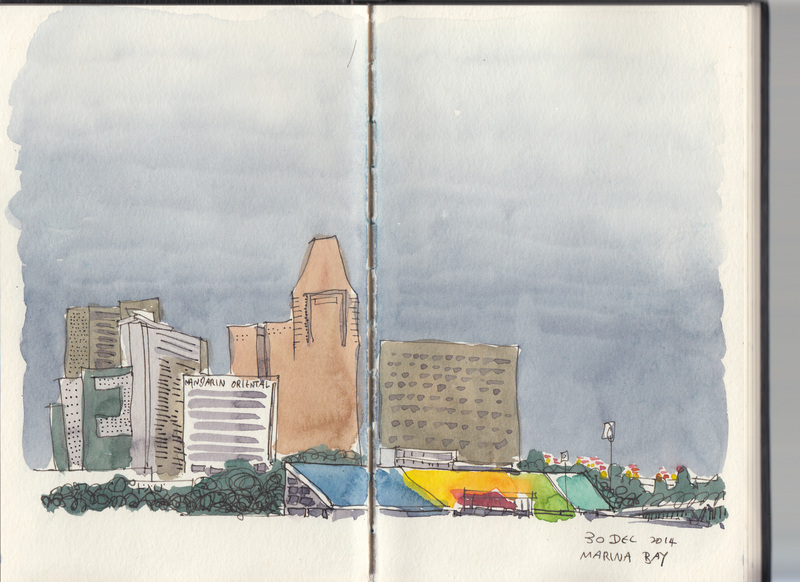 I found it weird that the scanner cannot pick up the grain so asked another friend to scan using her V600. She told me there's a mode where you can turn on the "Show Texture" feature using the Epson scanning software. The result's shown above (not using the Saunders paper). The Epson DS-50000 is a A3 scanner. One nice feature is the glass is flushed on two sides with scanner body, so you can scan even larger pieces of paper without any part of the paper lifting off the glass surface. It's extremely convenient. This scanner scans so fast it's shocking. There are several downsides to this scanner. The resolution max out at 600 dpi, which is actually more than enough for most artists. The other thing is the colour depth is only 16-bit. And the scan quality is definitely not as good as the other Epson scanners and Canon. 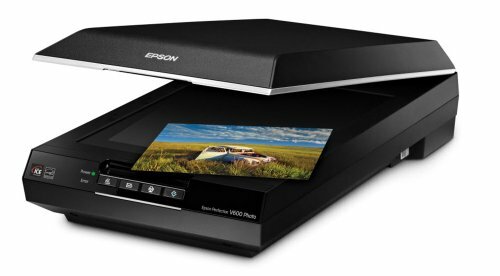 To be fair, Epson calls this a document scanner rather than one to scan artworks. Below are unedited scanned samples from the Epson DS-50000. I want to point out that the scanner is not good at picking up the paper texture unless there's colour over it. DS-50000. Click for the full 300dpi scan. 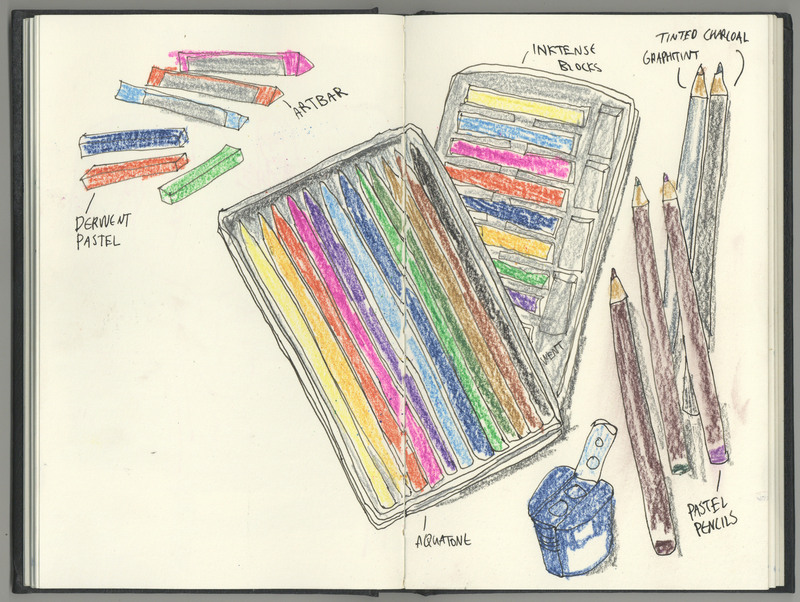 This sketchbook I'm using is off-white so the colour captured by the scanner is actually correct. DS-50000. This is a close up to the top right corner showing the faint watercolour gradated wash. There's a low contrast edge there and the scanner was able to pick it up. DS-50000. Click for the full 300dpi scan. DS-50000 wasn't able to pick up the texture on the Saunders coldpress watercolour paper. In terms of quality, the Epson DS-50000 A3 scanner certainly is not as good as the smaller A4 scanners. However, if you scan large pieces of artworks often, it's quite a convenient machine to use. I use this in my office, and I also have a small LiDE 210 in the office for smaller pieces of work. If you need a large format high-end graphic scanner, then it would have to be the Epson E11000XL-GA Expression Graphic Arts Photo Scanner. It has a resolution of 2400 x 4800 dpi and can scan up to 12.2 by 17.2 inches, slightly larger than A3. Reviews on Amazon are mostly positive, and some have provided scan samples. Colour depth when scanning is up to 48-bit for colour and grayscale 16-bit. This scanner basically has most the high-end specifications and features of the smaller scanners except it's better because it can scan A3. In terms of scan quality, I've to recommend the Canon LiDE 220 and all of the LiDE scanners because they just differ in resolution. Even the entry level, and cheapest, LiDE 120 can scan up to 2400x4800 dpi. The Canon LiDE 220 is able to pick up all the texture of the paper in detail. The only downside is the paper has to be in contact with the glass otherwise the scan will appear blur. Canon LiDEs are good for scanning loose sheets and not as good for scanning sketchbooks, bind or stitched. Having said all that, I still use this scanner for scanning my sketchbooks because I value the details that it can capture. My next choice will be the Epson V37. 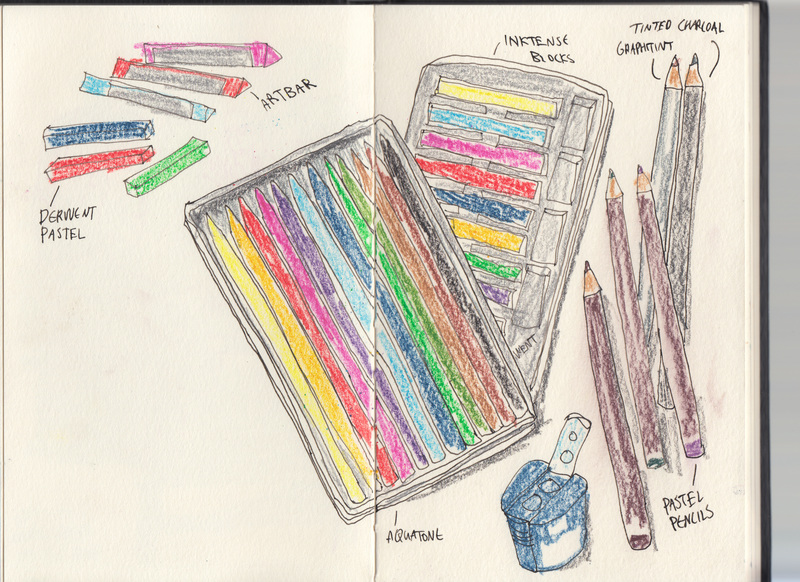 It's able to pick up a good amount of detail and it's better at scanning sketchbooks than the Canon LiDEs. The only large format scanner I tested was the Epson DS-50000 which is more suitable for scanning documents than artworks. It's a budget A3 scanner. I use this in the office to scan artworks for newsprint production. Personally, for professional large format scanning, go for the Epson E11000XL-GA Expression Graphic Arts Photo Scanner. This is extremely helpful! I am currently shopping for a new scanner after years of using one that only caused frustration, but I kept it because it scanned 11x17. Your examples, explanations, and demonstration of depth of field has been so informative in my decision making. THANK YOU!!!!!!! If you're scanning 11x17, there's only one good option and that's the expensive Epson E11000XL. The latest model is Epson 12000XL. What about for canvas paintings? all of my acrylic paintings are done on canvas as large as 48"x36" with a 1" thickness to the sides. If all of these are only for flat canvas am I completely out of luck? For large canvas, you have to use a camera to photograph it. Thanks for this! I do small, intricate pen and ink drawings usually on slightly textured paper. Now I'm working on a series for a publication and need a scanner. I can't decide between Canon LiDe 220 and Epson V39 (the only one that is sold in my country, India). Any suggestions? Thanks a ton! You can just get the Epson. Quality is similar to Canon. So you'd suggest the Canon over Epson? Both Canon and Epson are very similar in quality. Just get the one that's EASIER to get. I am looking for a scanner that I can use to scan very fine line art. I use micron pens with a lot of small detail and color. Ideally, a scanner and printer would be great. What is your best recommendation for this? My pieces are not usually larger then a standard 8.5 x 11. For scanners, you can get either Canon Lide 220, or Epson V37 or V39, whichever is cheaper or easier to get. Their quality is similar. I'm not sure about quality for scanner-printer combo unit. I read almost all the comments on the disqus page before asking to be sure I wasn't asking the same as someone else. I would like to scan small canvas's but am worried about colour distortion. I tried scanning with my Canon scanner/printer and the colours are weird. It also over accentuated the texture of the canvas fabric. Is the Canon LiDe 220 somewhat true in colour accuracy (with some photoshop tweaks) and good enough general quality to have paintings turned into prints, cards, etc... Most of my paintings/ canvas' are under 11x14"
I've not used that printer/scanner before. I'm very surprised by the price tag because A3 scanners are usually very expensive, yet the WF 7610 is so much more affordable. I'm usually quite skeptical about these printer/scanners because they are made more for office use and scanning office documents (black and white) rather than for scanning prints. If you do get one, perhaps you can help me write a review here from the perspective of an artist. Just wondering if you had any thoughts on this scanner for canvas? V370 is on sale Black Friday at Staples for under $99. 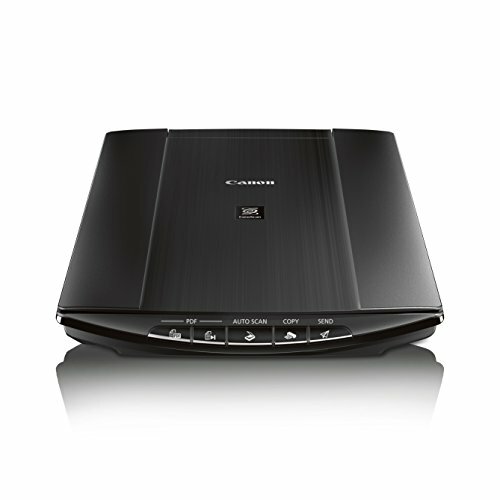 Canon LIDE scanners are CIS sensor based scanners, so they don't have a place outside of document scanning. That's why it's the only scanner tested that could't pick up the depth of the original and has banding artifacts. The CIS sensors are very shallow and ore only usefull for single page scanning. It's not a problem of LED which is the source of light, not the sensor. You can use LED lighting with CCD sensors with no problem. The EPSON DS50000 is capable of 16bit/colour which translates into the 48bit/RGB. Unfortunately the included software only outputs normal 8bit (24bit/RGB) which is the real bummer. As a final note, if you scan artwork and need accurate colour and details like paper texture, you need to invest in a colour calibration package with scanner support, or at least pay attention to scanner settings and options. Don't expect the auto corrention or presets to give you the best results. First, let me say I genuinely appreciate your blog and all of the information, reviews, etc. you've provided via the same! I have a number of pen and ink drawings and ink and watercolor wash/paintings I need to upload to a web site so that prints, etc. might be made from them. The originals are all less than 8.5" x 11" in size and the site limits the file size to 25 MB (.jpg, .jpeg, or .png formats). I'm currently using an older Epson WorkForce 630 multi-function printer, which has an optical resolution of 2400 dpi, to scan these images. 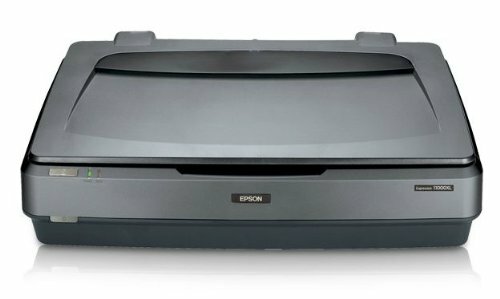 Perhaps this is a silly question, but would purchasing a standalone Epson Perfection V39 scanner, which has an optical resolution of 4800 dpi, be worthwhile and what exactly would it buy me? I believe the answer would be twice the resolution, but would that matter in the context of what I'm trying to accomplish? Thanks for your time and consideration! I'm not sure about the scan quality of the Epson Workforce 630 you're using. Few things to note, having higher resolution does not really translate directly to the scan quality. It is still best to see the scanned image to determine the quality yourself. Another thing to note is while scanners can scan up to 4800 dpi, typically, most people will not need to scan until that resolution. Graphic designers usually scan at 300dpi. For those really concerned about keeping images sharp, they may go up to 600dpi. The thing is, when you scan at 600dpi and above, the file sizes will be come exponentially larger. The files can be so large that it may slow down your computer to a crawl. Having said all that, I do believe that a dedicated scanner, as in a product whose sole purpose is to scan, should have better scan quality than those all-in-one devices. But if you're satisfied with your current Epson, there's probably no need to get a new scanner. A good scan is one where you cannot tell the difference between your original and the image one screen. I wondered if anyone here has any experience with scanning pencil/graphite drawings. Is it even possible? For me they usually come out very low contrast and the paper looks dull. If I push the contrast up, the marks go black and lose their texture and detail. Any suggestions or advice is very appreciated! Hi! First, this is extraordinarily helpful and the only real resource I’ve come across to address this topic. So, thank you. I do very small but very detailed watercolors and need to be able to scan my art where all the quality and detail is retained so I can have it professionally reprinted onto similar textured paper. I use a Mac if that makes a difference. Which do you think would suit me best? I feel torn after reading all your information. You can get Canon Lide 210 or Epson v37. There's no difference. What is the best scanner to scanned collaged artwork that is a combination of cut paper (including corrugated cardboard), fabri, pencil, marker, ink or watercolor? I need to be able to scan into Photoshop for refinement and/or to create a digital portfolio without losing the textures. Thank you for this info! To clarify, what scanner would you recommend for collaged artwork to scan into Photoshop without losing texture of textured papers, fabric, leaves, corrugated cardboard plus pencil, marker, ink, and watercolor? I might want to continue to manipulate in Photoshop or just use the scan as a final digital copy that I can send to an art director or agent. It depends on how flat the surface will be for your collage. The scanners mentioned above are using CIS technology so they can only scan something that's in direct contact with the glass. Let's say you use cardboard that's not as thin as paper, e.g. such as those backing for some writing pads, and you paste it on another paper. The areas closest to the outer boundary of the cardboard will be blur because they are not in contact with the glass. For uneven surfaces, you have to find scanners that use CCD technology. Do you know if the Epson V39 is any good for scanning sketches and comic artish stuff. (Sorry I don't realy know what you would call it). I tryed looking for the V37 on Amazon but they don't have them in stock. But it suggested the V39 and that's why I'm woundering if it's any good for what I want to do with it. Do you have any other recommendations for what to buy (that's not so expensive)? I have never used a scaner befor though so I'm not sure if I should be looking at a differnt brand or for something easyer to use. The article was helpful though I had no idea where to start. Thanks! Both v37 and v39 are good scanners capable of capturing good details. You can't go wrong with either. If you are on budget, you can just choose the cheaper of two. Scanning quality will be very similar. hi - i have some antique etchings on laid paper i would like to scan (several are black and white only, several are hand colored etchings). the originals are currently 5 x 8 inch but i want to get them printed at 12x 20 or larger - which scanner do you recommend so the larger prints will still look as good as the original and showcase the laid paper texture. thank you. 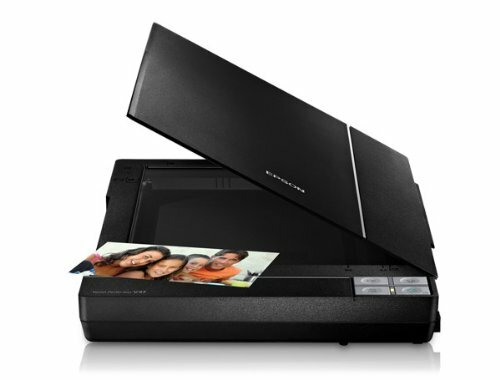 You can get any of the A4-sized scanners mentioned above, the Epson or Canon. Artworks are scanned at 300ppi usually so if you want to print at higher resolution, then scan at 600ppi. I use a V600 which only scans 8 1/2 x 11 inches. You just need to make multiple, overlapping scans and use Photomerge in Photoshop to stitch them together seamlessly in less than a minute. I have done as large as a 24 x 30 this way. The cover lifts off so there is really no limit to the size you can scan. If you need to scan anything of thickness, you cannot get CIS scanners (e.g. the Canon and Epson in the review above). You have to get CCD-type scanners. Would you be able to recommend any good CCD type scanners? I'm looking at the Espon Perfection V370, but I'm not entirely sure it's the right one to go with. I don't know of any CCD scanners. V370 can scan films, so if you need that feature, that's the scanner to go for. But scan quality is not different from entry level Canon and Epson scanners I mentioned in the review. Thank you very much for this helpful article! I checked several websites to find out about the best scanner for watercolor artwork and it seems that v37/370 and v600 are the best. But I wonder about the v550. Nobody talks about it and I was wondering if it is not good or if it's just a little bit in between the 2 others, and that's why nobody talks about it... Do you have any opinion about the v550? The v550 scan quality to be similar to v37. v550 can also scan 35mm film by the way, so if you don't scan film, you're paying for something you don't use. thank-you for your helpful article! It is indeed useful for artists. Do you happen to know the difference between the Epson Expression 12000XL-GA & Epson Expression 12000XL-PH? I understand most of the online community recommends GA for artworks....but sadly, it's not sold in the country i'm in , they only have the pH in Singapore. thank-you for your wonderful reviews of scanners for artists. it is definitely very useful. 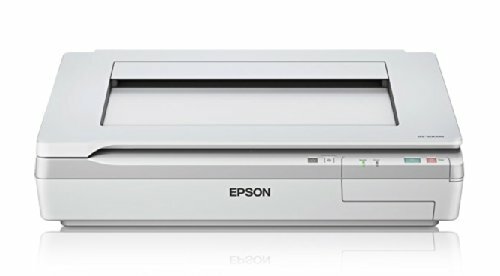 there isnt a supply of Epson Expression 12000XL-GA in singapore - what other option do you recommend for scanning artworks around A3 size please? a whole combination of clarity, accurate colour, ability to scan paper slightly off the glass, as well as ability to scan sketch books without would be great. i dont understand why someone just doesnt come up with something like that. There is the option for Epson Expression 12000XL - PH though.....do you know if that will work? thank-you for your input! I'm not sure about the difference between 12000XL - PH and the GA.
thanks anyway - do u know what else is possible for A3 option? I don't know any other A3 scanners of the same quality as the Epson. The alternative is to scan with an A4 scanner and stitch the images in post. thank-you so much. very sad..
i read a few reviewers mentioning that the stitch function on the scanner mentioned above was basically quite redundant as it's not easy to use and the result from that is very poor. anyway, thank you again for your very useful post. Oh my! I NEED HELP! I found your review EXTREMELY helpful, in fact, helped me decided to get the CanoScan LIDE 220 to scan my artwork. I want to start the print business, since I just been painting and selling my art. Today I got the scanner and it scanned so well all the colors BUT the NEON Pink I constantly use in my paintings. I use Photoshop to edit the levels, everything works OK while I move around Curves and Levels, BUT my NEON pink is an ugly light pale almost white color. So what can I do? Is this something this scanner will always do? If that is the problem I will have to returned since the neon pink is part of my art process. Is there a way to fix it? A magic trick? Something? Should I get another scanner? Sorry so many questions but this is something totally unexpected! And a deal breaker for me! Scanners can't scan neon colours. You would have to use a camera to photograph your art instead. Thanks for the clarification. I read a bit also and you are correct. Oh Well! I guess I will use my scanner for non-neon work and use a camera when my artwork have neon. Now knowing that neon colours cannot be scanned; can the Epson V370 and V600 scan small stripes of gold on artwork? Gold and other metallic colours probably don't scan well. These colours react to light from different angles so there's no easy way to scan that.